Classic sailor collar style bubble with girls puff sleeves and boys mock cuff sleeves. 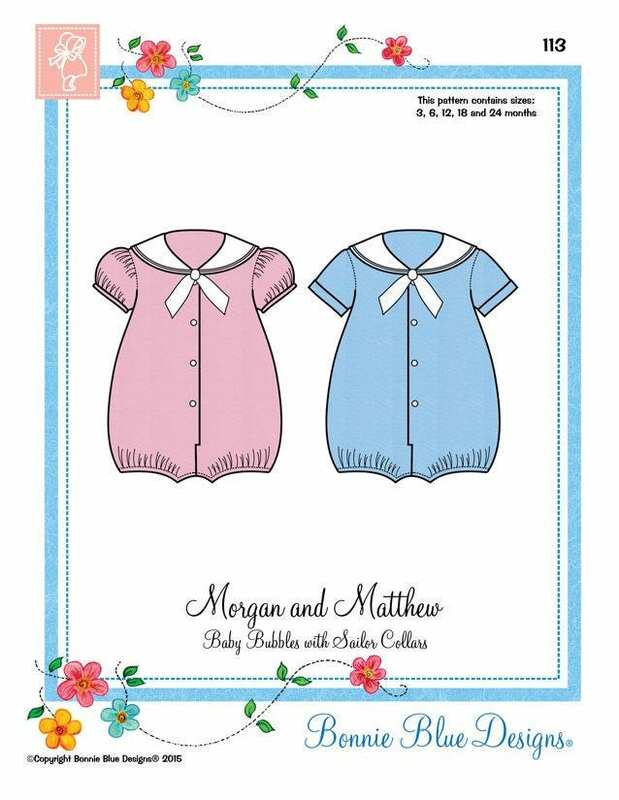 Ideal for brother and sister outfits. 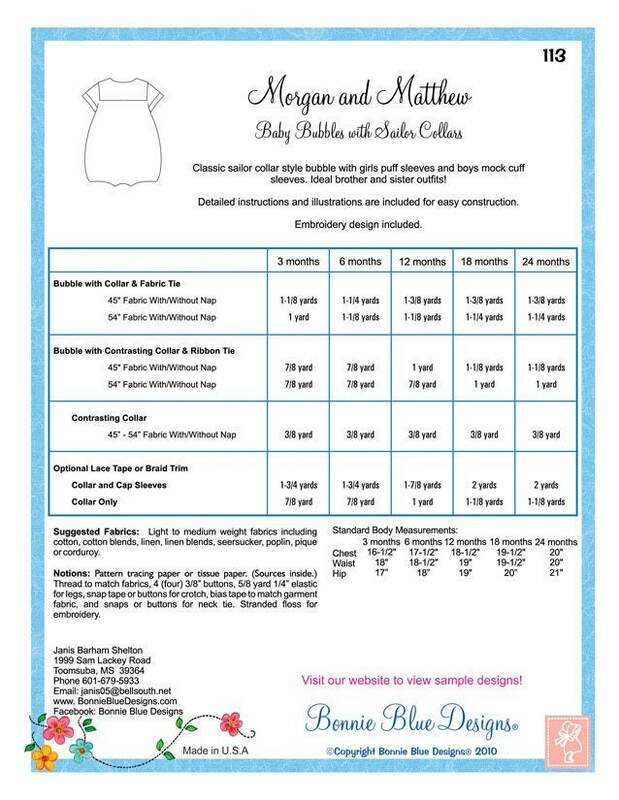 Sizes 3-24 months and 3 years in one package.